Jimmie Haynie was a native of Canton, North Carolina. He could play the guitar, violin, bass, mandolin and banjo. He could also sing a tune or two as he was once the national champion amateur folk singer. They wrote that he got his start in radio at a station in Asheville. 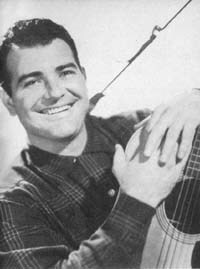 His career then took him to Alabama, then to Nashville and was featured with Ernest Tubb. He recorded at one time for the Columbia and OKeh record labels. In 1955, it looks like he was working a 'heavy schedule' over at WLW in Cincinnati, Ohio.